Laser hair removal treatment is an end to the daily pain while doing waxing or threading and problems faced while and after using razor, hair removal creams or hair removal sprays.Permanent hair removal through laser can be done on any of the body part like face, arms, legs, armpits, upper lip, chest, neck, back and pubic area. In laserhair removal technique a laser light beam is passed through the patient’s skin. These beams are being absorbed by the pigment in the hair follicles and the follicles are permanently destroyed. The wave length of beam depends upon the type of hair colors to be treated. Normally laser beam passed is of low level of energy so that minimal pain should be experienced and no anaesthesia is required by the patients. Laser beams selectively target dark and coarse hair. Do not go for any temporary hair removal procedure for at least one month before the treatment. Do not use any sort of lotions and creams on the day of the treatment. A safe, effective and permanent solution for unwanted body hair is now available in your city, Delhi and that too at affordable charges. 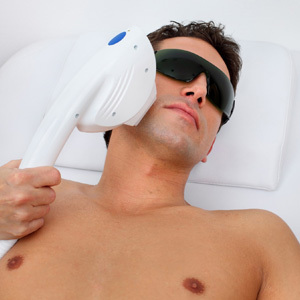 Persona is well equipped with the latest machines and apparatus required for body hair removal. The professionals performing this treatment at Persona are fully dedicated towards their work and are trained under the supervision of experts. We are using Synchro HP laser for permanent hair removal so that we have full control over the wavelength. The cost of permanent hair removal treatment depends upon the area to be treated and number of sittings required in complete process. Without any worries you should go for body hair removal as it is safe and permanent and it will boost up your confidence and outlook.